The much awaited festive time of the year with jingle bells, yummy cakes, stunning lights, Christmas tree celebrations, gifts exchanges, shopping, cocktails and elaborate dinners is celebrated much vigour and excitement. Whatever way one chooses to celebrate, the idea should be to enjoy and have fun. Apart from various conventional ways to celebrate Christmas, there can be some offbeat ways too to welcome Santa in your home and bid a lovely good bye to the passing year. It is somehow hard to accept the non-traditional methods and break the rules we have been observing for so long, but it can be a memorable experience. A very unique and cost effective way to celebrate is to do away with giving gifts to each other and feel a little lighter with the burden of shopping for each one in the family. After all it is just an exchange of items. Instead create a pool of money and go to watch a movie or a game or to a restaurant that every can enjoy with free mind. And if one is of a generous mode, you can give the money in charity to some underprivileged and needy kids in the orphanages. A very respectable way to care and share with others on the eve of Christmas where you will be long remembered by those whom you helped. Another interesting way is that you pick any country of the world and follow its traditions and customs to celebrate Christmas. Study the various ways the home is decorated, food is prepared and the Christmas tree is adorned in that country and follow it in your home to have a different experience this time. A very selfless idea is to visit a hospital, local shelter or an old age home and celebrate your festival amidst these lonely people on the planet which will bring smiles on their faces and brighten up their spirits. After all, true happiness lies in sharing and loving others. What can be most thoughtful than spending quality time with the family as a whole .Pick a family activity where each one of you can contribute and make a difference’; it can be a task of making handmade gifts or writing a thank you note for each of the family member. It can even be a joint activity to brighten up your house for the Christmas display of lights or organizing for the church pageant. 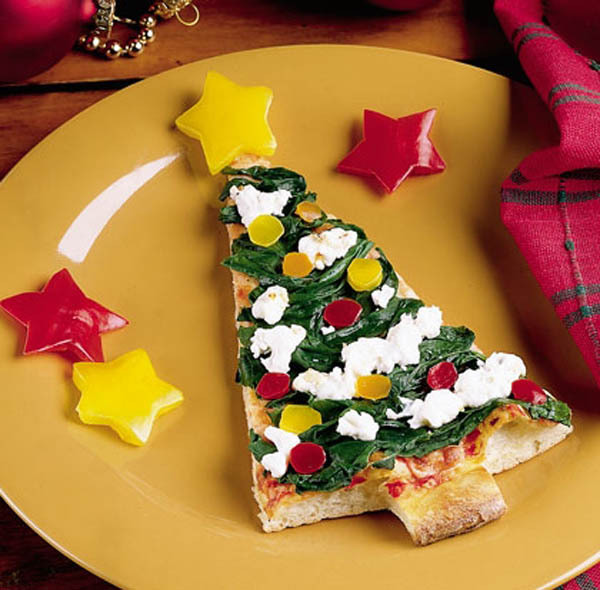 This can be a real fun to explore new ideas to make one’s own Christmas tree. This can be from set of gloves, boxes, paper, egg cartons, floating ornaments, ladder or even a wrapping paper. Let you creative juices flow and do wonders on the eve of Christmas. There are can so many other inspirational ways to celebrate as the list is never-ending. So gear up and encourage others for a new and distinctive beginning this Christmas!